Two common terms used in online advertising are ad networks and ad exchanges. These two terms are frequently used together. Sometimes you’ll even see the same definition for both! However, these are two separate things that deserve their own definitions. Here we’ll discuss what an ad exchange is and how it is different from an ad network. We will answer the question how do ad exchanges work? A comparison between ad networks and ad exchanges can be made with the stock exchange. An ad network does the job of the stock broker. The stock broker offers a select group of offerings that will fulfill a certain need. An ad exchange is like the stock exchange. The stock exchange allows the buying and selling of inventory in an open market. An ad exchange is similar and allows the buying and selling of impressions. 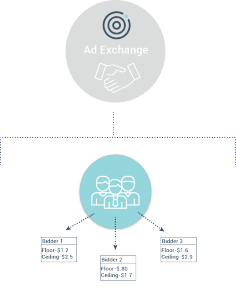 So how do ad exchanges work? An ad exchange is a technological platform that allows the buying and selling of digital inventory. Ad exchanges use advanced technology, allowing billions of impressions to be bought and sold in real time. The buying and selling process is based on bidding. Parties are allowed to set floor (lowest) prices and ceiling (highest) prices for each impression. Publishers and advertisers can also set criteria for the types of impressions they want to buy and sell. Some impressions in an ad exchange may go unsold. An ad may not be sold for a variety of reasons. Both publishers and advertisers are able to set criteria for the ads they want to buy and sell, and sometimes this causes the ad space to go unsold in an exchange. For example, as a publisher you may not want to show any video ads on your site. This may restrict the number of advertisers that are available to fill that space because some advertisers want to display video. On the other hand, a publisher may only have traffic from Venezuela. An advertiser in the U.S. may restrict their ads to only be filled by publishers with U.S. based traffic. With all the possible combinations of criteria set by publishers and advertisers, you can see why some impressions go unsold. If one ad network cannot match the impression with an ad, the impression can be passed on to another ad network. The second ad network will go through all the same steps as before. It will try to match the impression with advertiser demand and sell that impression for the highest price possible. If this second ad network is unable to sell the impression, it will go to another ad network and the cycle will continue. If the advertising space is still unsold after going through several exchanges, it will become a remnant ad. At this point the ad is sold for a very low price, sometimes as low as $0.001. Impressions can be passed on when they are not sold, but it requires some technical knowledge to set up. This is called setting up passbacks. If you don’t set up passbacks correctly, the impression could go unsold. If it’s unsold, the impression goes to waste. The ad space would not be filled and you would not receive any advertising revenue off of that impression. Ad exchanges have really streamlined buying and selling online advertisements. 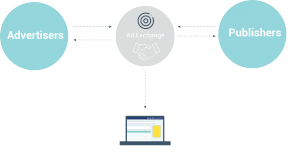 These exchanges allow most of the process to be automated, so advertisers can buy ads faster than ever before. It also means that there’s a better chance your ad space will be paired with an advertiser who is willing to pay the most for it. Schedule Your Free Revenue Audit Today! Do you feel like your site should be bringing in more revenue? Would you like a data analyst with a background in website advertising to evaluate your current revenue strategy? If you answered yes, schedule a revenue audit today and learn how you can dramatically grow your revenue! Please remove all commas from the number.